Kerala has been a major spice exporter since 3000 BCE and it is still referred to as the "Garden of Spices" or as the "Spice Garden of India". Kerala's spices attracted ancient Babylonians, Assyrians and Egyptians to the Malabar Coast in the 3rd and 2nd millennia BCE. Around the 15th century, the Portuguese began to dominate eastern shipping, and the spice-trade in particular, culminating in Vasco Da Gama's arrival in Kappad Kozhikode in 1498. The Portuguese were ousted by the Dutch East India Company, who during the conflicts between the Kozhikode and the Kochi, gained control of the trade until the end of 18th century when the whole of Kerala fell under the control of the British. Lying between northern latitudes 8°18' and 12°48' Kerala experiences the humid equatorial tropic climate. Geographically, Kerala can be divided into three climatically distinct regions: the eastern highlands; rugged and cool mountainous terrain, the central mid-lands; rolling hills, and the western lowlands; coastal plains. From a tourist perspective it is well known for its beautiful beaches, its hill stations and tea plantations and, in the South, its palm lined waterways. 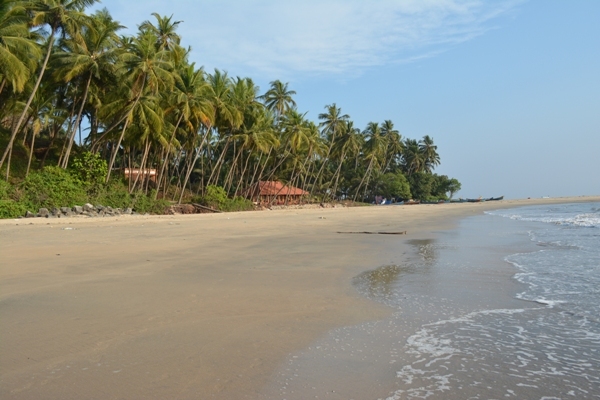 Kerala has hundreds of miles of beautiful tropical beaches with the Arabian Sea temperature being around 27C and so provides a wonderful environment in which to relax and enjoy the environment. 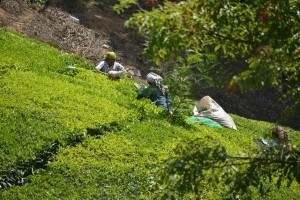 Tea is a major industry in the mountains of the Western Ghats and it is also an area greatly enjoyed by tourists from India and abroad. It is, in fact, a popular honeymoon destination for North Indians. The temperature is cooler here and the views are often spectacular with hotels perched on the edges of steep slopes. 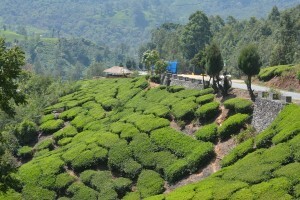 Kerala’s remarkable climate means that it grows a huge array of spices as well as tropical fruit. Touring a spice plantation will let you see the spices you know from your kitchen as they grow. It is a long list and includes nutmeg, mace, cinnamon, pepper, turmeric, ginger, cardamom and cloves. You will also have plenty of opportunity to stock up on these items fo your return home. To the South of the state there is a vast array of waterways which are a popular destination for tourists, having said that, it is still quite easy to keep away from the main tourist spots. Traditional village life, in these areas, occurs all around the waterways so it is possible to see people washing clothes in the river as well as fishing and moving around the canals. If you seek it out, it is possible to visit a Toddy Parlour and enjoy this alcoholic coconut sap drink. You may even be able to view the process of tapping the sap and making the drink.